"How do you break free without breaking apart?" For some people a good life isn't good enough, especially for free spirits. When a free spirit meets and marries a "rational" mind, things can implode in an interesting and unexpected way. That is the very problem that "Revolutionary Road" tackles. The movie takes place in the 1950s and follows the lives of a young couple with two children, the Wheelers. Frank, a longshoreman, once had a dream of moving back to Paris. He shares his desires with April, but when April and Frank marry and she becomes pregnant in short order the dream fades. The couple buys a home in Connecticut and Frank secures a job in NYC. The family moves along in mediocrity; eventually having another child. With the standard white-picket fence, and two children, the Wheelers seem to have it all, but it is not the life they originally intended. April, longing to shake the cobwebs from their daily routine, suggests a move to Paris once again. She insists she can work and become the breadwinner while Frank figures out who he wants to be. He eventually accepts the idea, but he gains a promotion at work and April falls pregnant again. 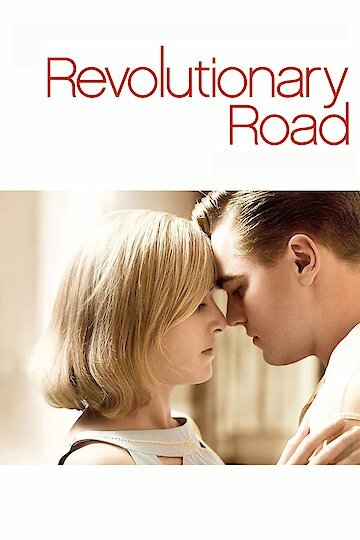 With a new baby on the way and the promotion Frank believes Revolutionary Road in Connecticut is where they belong. April, horrified, tells Frank she's considering an abortion and still wants to move to Paris. Angered by the suggestion of an abortion, Frank and April's relationship quickly spins out of control. The neighbors of their tight-knit community attempt to help the couple gain a better understanding of their relationship but it is to no avail. April, feeling she has no other option, attempts to perform an at-home abortion. The abortion fails and she is rushed to the hospital. The movie eventually shows neighbors sharing the story of the Wheelers to a new couple who is moving into their former home. Eventually one neighbor states "I don't want to talk about the Wheelers anymore." The ending of the film shows that sometimes, in mediocrity, come events that are easier to forget instead of continuously reliving. Revolutionary Road is currently available to watch and stream, download, buy on demand at Amazon Prime, Amazon, Vudu, Google Play, FandangoNow, iTunes, YouTube VOD online.